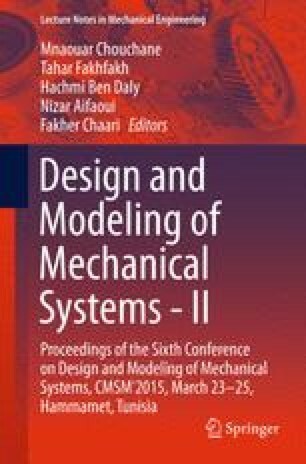 In this work, we investigate the effects of roughness level and asymmetry of profile on the mechanical behavior of an engineering surface. A numerical model was performed to simulate bi-dimensional surfaces with different roughness parameters (The arithmetic average height parameter Ra and skewness) values. This model predicts the contact load, real area and interfacial stiffness. It takes into account the elastic-plastic material behavior, asperities interactions and more realistic geometry than the analytical models. Both symmetric and asymmetric profiles were simulated. Symmetric (Gaussian) profiles were generated through experimentally measured surfaces. These profiles were artificially edited in order to put forward the effect of roughness parameters on the contact performances. The Pearson system of frequency curves is used to produce asymmetric profiles with the same roughness level. The effect of crushing and roughness level as well as the skewness parameter on the contact performance in terms of real area, contact load and interfacial stiffness was analyzed.